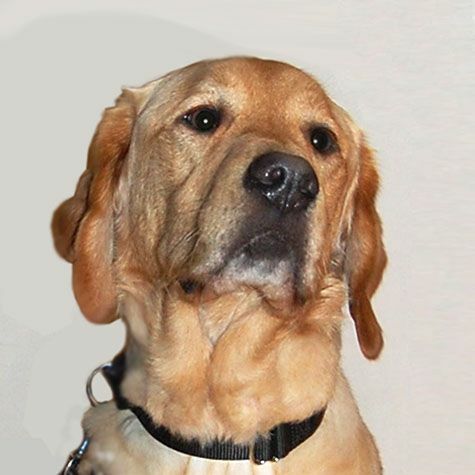 I am a golden lab who was trained as a guide dog. I was career changed at the end of guide dog training since I like to go potty on long walks. I have leftover habits of keeping my mom on sidewalks and looking both ways before I cross the street. Don't tell anyone, but I got career changed on purpose! I love to play fetch, chase birds, and do other things that guide dogs are not supposed to do. I also love my job as a therapy dog. Making people feel better makes me smile!